What a day! We had a short hike into Wrightwood and, of course, couldn’t resist making it a nero and spending the night. I think this has been my favorite town experience so far. We knew the 5mi hitch would be difficult, but it was even more so because the road was closed coming into Wrightwood because of a landslide. We walked up to the road to find six other hikers hopelessly attempting to get a car driving from town to turn around a drive back into town. We started to worry that we’d have to walk into town and the something amazing happened. A woman named Joanne who was on her way to volunteer for the forest department stopped and was laughing at our futile efforts. 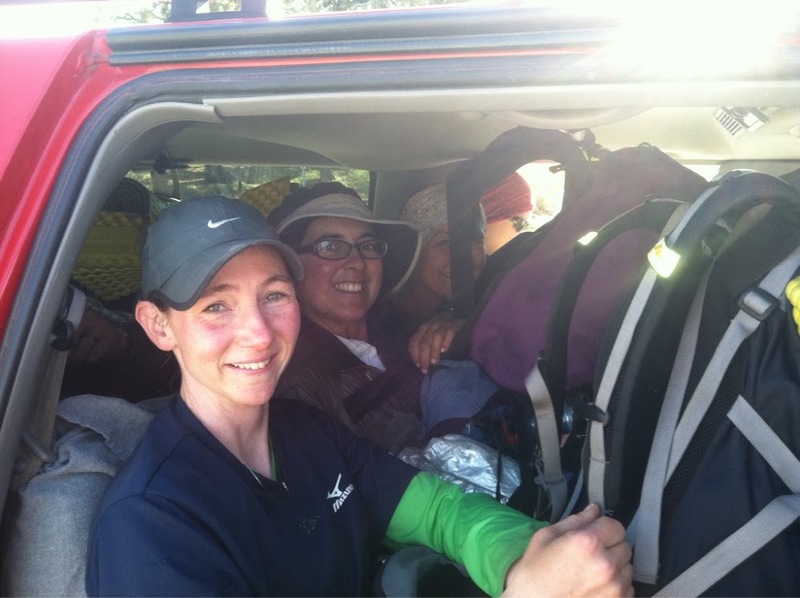 She had a Suburban and felt so bad for us that she let all eight of us (and our packs!) squeeze into her car with her dog. The dog was behind me and very friendly. Those of you who know me know that being in a cramped space to being with is no fun for me and adding a dog to it is makes me really in comfortable. To add to this, as soon as we started driving, the dog sneezed on the back of my neck! I know all of you who know me are loving this right now! 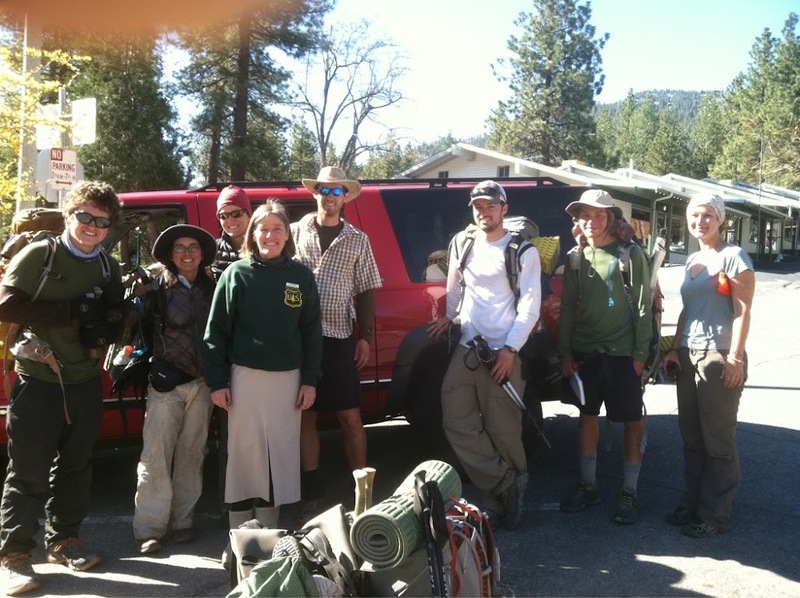 Here are all the hikers with Joanne. Rattler, Skinny D, Meow Meow, Bunyan, Will, Pine, and Liz. Joanne dropped us off in the quaint little mountain town and all eight of us decided to have breakfast together. The post office was right down the street and we easily got our resupplies. 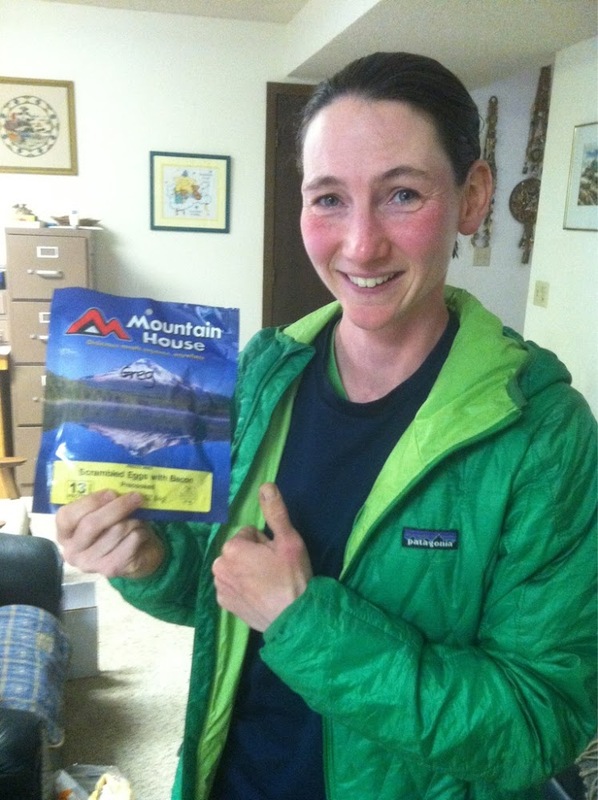 The hardware store was next door and there was a book of people in town who offered services for hikers. We paired up with Skinny D and Liz and got ahold of two people. Courtney was a trail angel willing to let us stay at her house after she got off work. Then we were able to go to the trail angel, Carol’s during the day. Carol is an inspiration! She is 84yrs old, lives on her own, and offers so much for hikers. She taught Political Science at Cal State and was the first woman to get a PHD in Political Science from the University of Arizona. So cool! At Carol’s, we were able to do laundry, shower, and organize our resupplies. 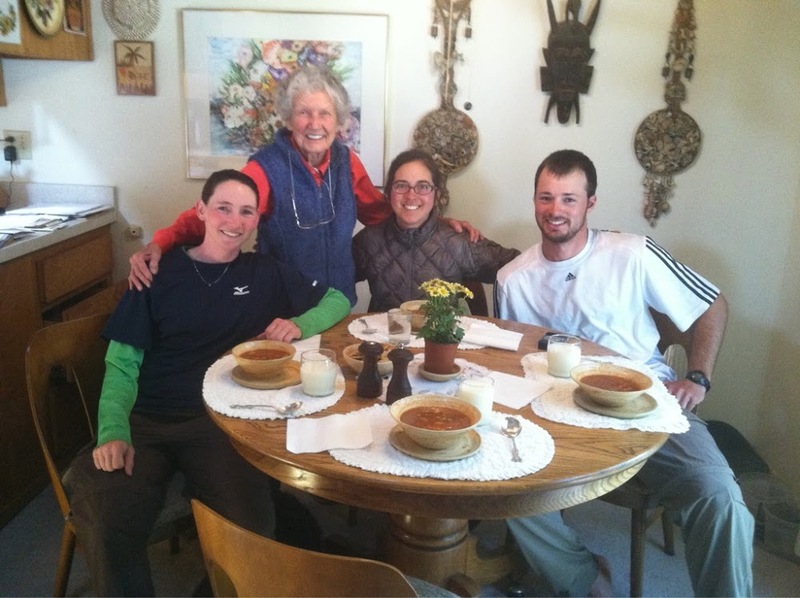 Best of all, Carol made us homemade soup that was AWESOME! Here we are with Carol. This resupply box was the first one where I was able to get Care Packages. 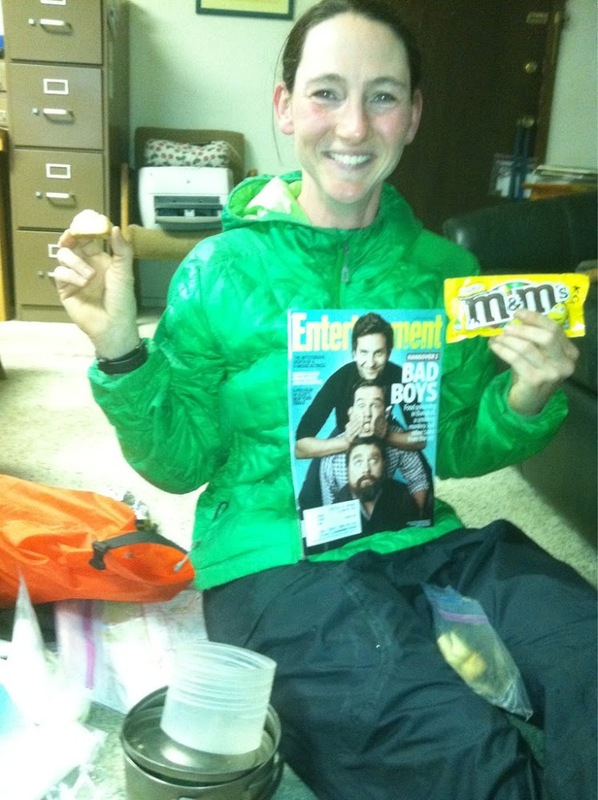 I was psyched to get mundelbread and peanut M&M’s from my aunts and Bubby in KC. Plus my Entertainment Weekly magazine my dad makes sure I get. Then my first Mountain House meal from Greg. I’m excited to get the rest of them over the next few boxes! Finally, I got a 1.3oz homemade survival kit and some energy beans from Mindy. 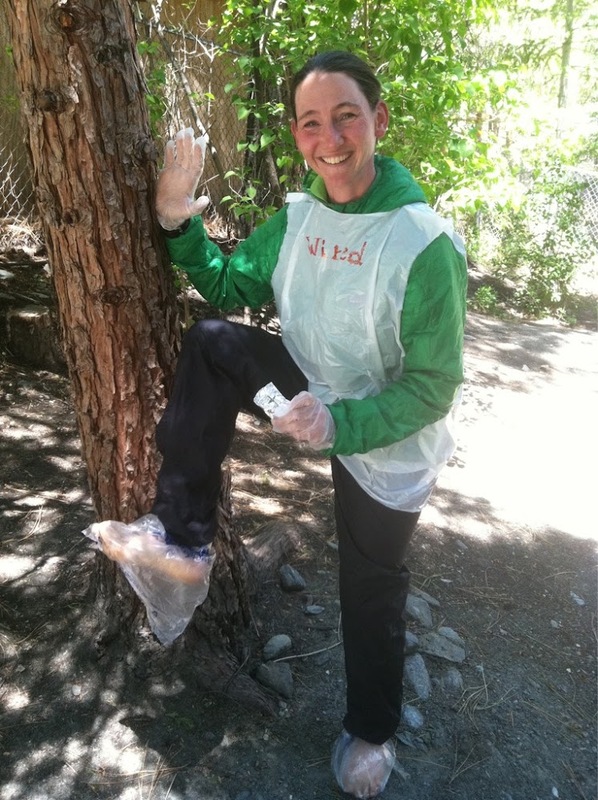 Here I am sporting the personalized vapor vest that says “Wired,” gloves and booties, and a fire starter kit. In the late afternoon, we met up with Courtney. Earlier, Alex and the other crew (aka Team No Babies) had texted me that they were in town. They contacted Courtney and she decided to also host the six of them. It’s a reunion! The four of us with Alex, Kylie, Speed Bump Jr, Wiz, Drop Dead, and Annie. Courtney let us use her car to go to the grocery store while the others showered. When we got back, the four of us went to a Mexican restaurant. Whew, quite a day!